Dr. Ken Kronhaus - Tequila, Bueno!!! 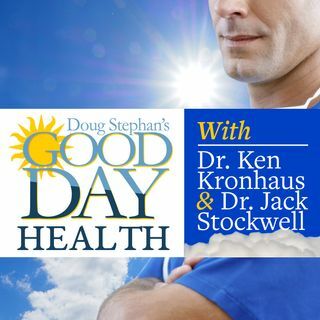 Host Doug Stephan and Dr. Ken Kronhaus discuss new medical news that says Yogurt is good for you, in a number of ways. Frequent napping can be good for expectant mothers and their babies. Dr. Ken offers ways that you can "bulk-up your brain." Next, the recently discovered benefits of Tequila are revealed. Finally, Dr. Ken explains all that we know about First Lady Melania Trump's recent visit to the hospital.